Engineered to attract clinging birds like nuthatches, but perching and trough feeding birds also enjoy the Tray feeder. Sturdy all-metal construction assures long, useful life. • HUGE feeding area accommodates both clinging and perching birds at the same time. 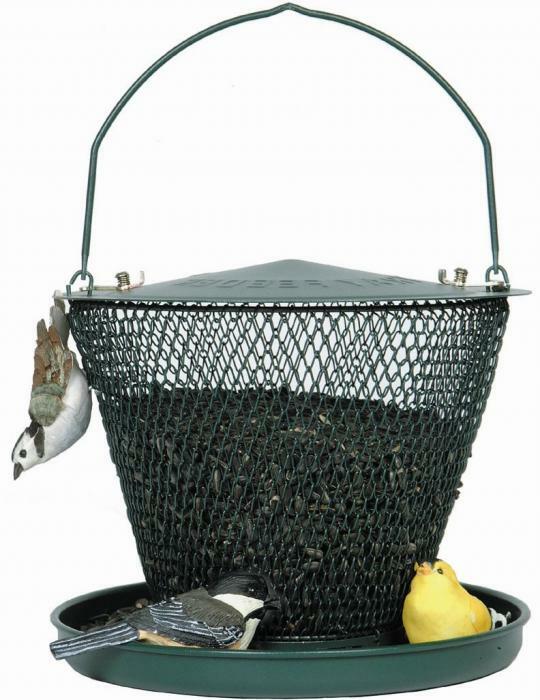 • Holds over 2.5 LBS of Black Oil Sunflower Seeds, the most popular seed for wild birds. • Rain or Snow just run, or blow right through it. • The simple wire mesh design helps to protect birds from avian diseases. • Makes no hassle gift idea for friends or family. This feeder has good capacity, but squirrels can get into it. Overall I would recommend if you also got a hood to prevent the squirrels from getting into it.